On November 20th, 2016, our community woke up to find anti-Semitic hate graffiti sprayed across our children's playground at Isabella Bird (Izzi B) Community School. Disbelief- how did this happen here? - and horror quickly turned to action. Families in the community arrived at the school and cleaned the graffiti, replacing it with messages of hope and acceptance. But the discomfort in knowing that our school had been targeted didn't go away. As a parent, I worried about my daughter's safety upon returning to school, but even more, I worried about the larger meaning of this incident. My daughter couldn't have put it in clearer terms. When I explained to her that someone had painted messages that said certain white people are better than other people (of color) her dark brown eyes got very wide and she said "That's not fair. That means you're safe because you're white, and I'm not safe because I'm not white." I cried. When another mother at Izzi B reached out on Facebook and said she was going to speak to school and elected officials about the incident and what should be done, I contacted her immediately as did four other women in the neighborhood. Together we discussed Izzi B and our community. We knew the issues didn't stop with this incident. We had to do more. We had to move past our discomfort in discussing tender issues like race, class, religion, and bias with our neighbors and larger community. We had to be brave. 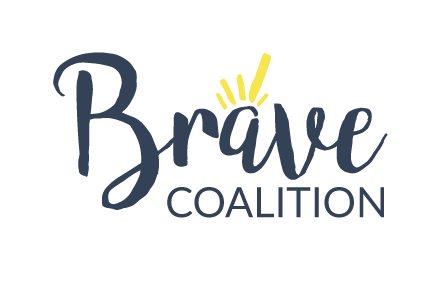 That was the start of Brave Coalition, a Colorado non-profit, aimed at building inclusive communities by building awareness, shaping mindsets, and inspiring action. Already we've supported a Community Menorah Lighting, and hosted a film screening and panel discussion with Denver Mayor Michael B.Hancock and Denise Cox of Being ñ. We aim to continue these brave conversations in an effort to hear others' perspectives, identify our own biases, and find the common humanity that we all share. It's time to be brave, start brave conversations, and build the community we want to live in. I hope you join us.